French Toast Sticks are the perfect snack-sized version of classic french toast that's fun for kids and adults alike! Today I'll show you How to Make French Toast Sticks easily with just a few ingredients. What are French Toast Sticks? 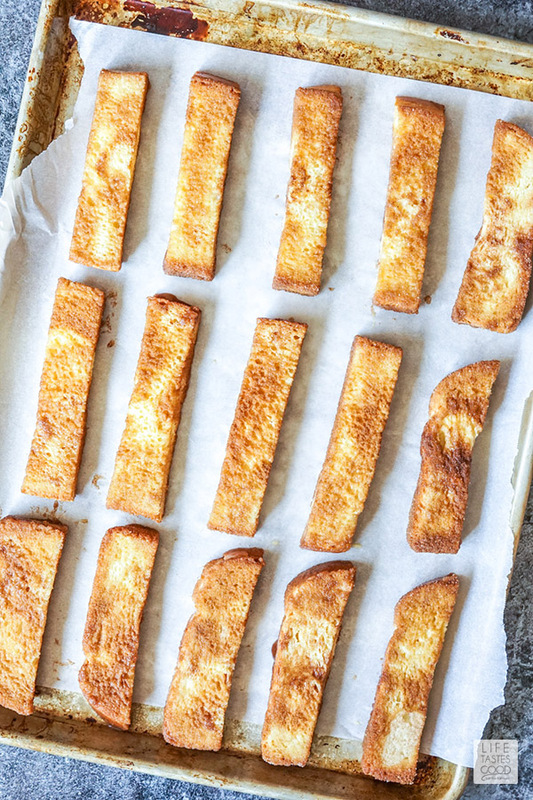 French Toast Sticks are thick strips of bread dipped in a creamy egg custard, coated in cinnamon sugar, and baked until golden for a fun breakfast treat everyone will love! 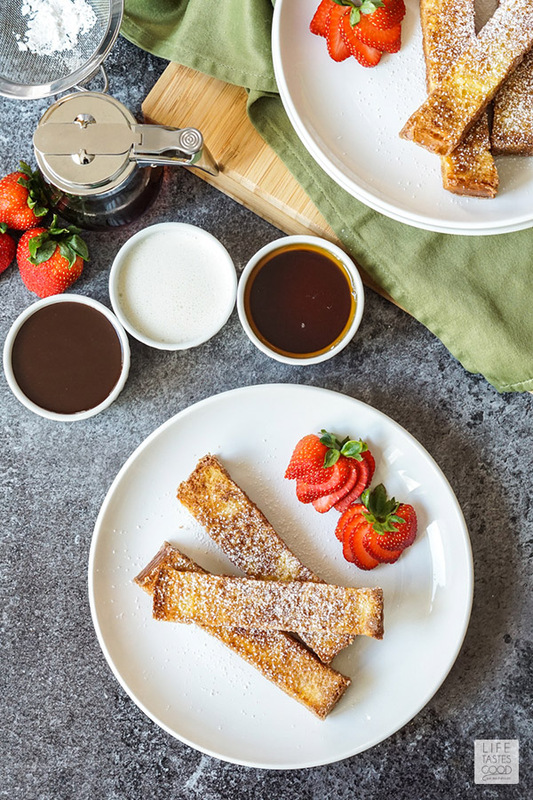 Pair French Toast Sticks simply with maple syrup and a sprinkling of powdered sugar or add a decadent touch with a maple mascarpone or chocolate caramel dipping sauce for an extra special treat! Coat each bread stick in cinnamon sugar and arrange on prepared baking sheet. Bake 12 minutes, flip, and bake another 12 minutes to create that perfectly crisp and golden texture for dipping. 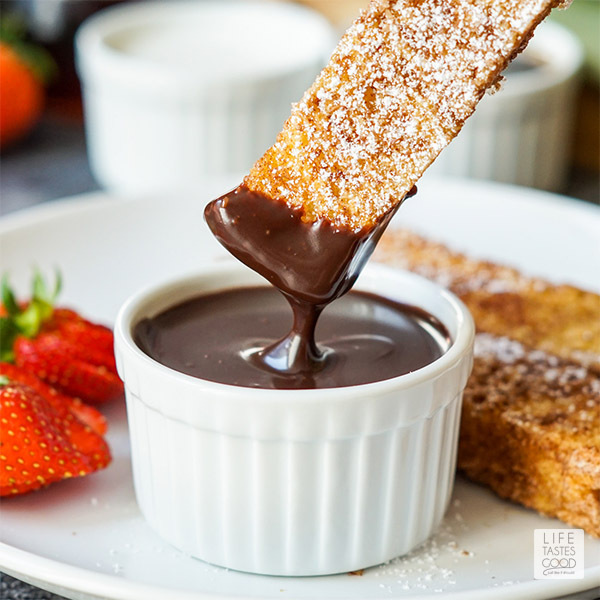 Pair French Toast Sticks with maple syrup and a little powdered sugar for a quick and easy snack, but if you want a more decadent option, I have also included recipes for a Maple Mascarpone Dipping Sauce and a Chocolate Caramel Dipping Sauce. Maple Mascarpone Dipping Sauce only takes a minute or two to prepare. Fold a large splash of maple syrup into Mascarpone cheese until fully incorporated and smooth. If the mixture is too thick for your liking, thin out the sauce with a little milk. 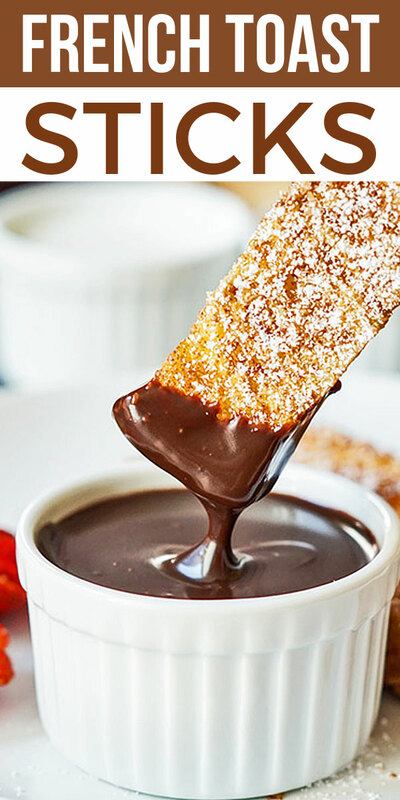 My favorite option of all is this Chocolate Caramel Dipping Sauce. Gently heat heavy cream and pour over chocolate chips to make a creamy ganache flavored with butter and caramel sauce. The sauce comes together easily while the French Toast Sticks are baking, but it can also be made a day or so in advance and gently reheated in the microwave or in a small saucepan when needed. For best results when making french toast sticks, only use stale or oven-dried white bread. Freshly-baked bread will fall apart or become soggy. Pre-sliced sandwich bread is just too thin. I have come across thicker-sliced varieties that seem to cater to French Toast or you can buy un-sliced and cut roughly 1 inch thick. I didn't remove the crust from the bread slices, but you can if desired. Compared to other French toast recipes, you do not want to soak french toast sticks in the egg custard base. Just dip them long enough to coat and allow the excess to drip off before covering in the cinnamon sugar. If they soak too long, then they may fall apart and won't have that crisp texture best for dipping. I baked these french toast sticks in the oven, but they can also be prepared in batches on the stove-top. I personally prefer the oven for this recipe since it works for all the sticks at once with minimum effort. For stove-top preparation in a skillet, melt ghee or equal parts butter/oil in a large frying pan over medium low heat and cook on all sides until golden. French Toast Sticks can easily be frozen for a month or two. Arrange the baked french toast sticks in a single layer and freeze until chilled thoroughly before transferring to a freezer-safe bag. They can be reheated in a toaster, 350˚F oven, or even for 30-60 seconds in the microwave. 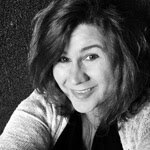 Most home cooks will already have many of the tools needed to make this recipe, but for your convenience I've listed the tools I use when making French Toast Sticks. Just click on the item name and find the product I use on Amazon. Learn How to Make French Toast Sticks easily with few ingredients. The PERFECT snack-sized version of the classic breakfast treat that's fun for kids and adults! Preheat oven to 350˚F. Line a large baking sheet with parchment or lightly grease. In a wide bowl, whisk together the eggs, milk, cream, vanilla, and pinch of salt. In another wide bowl, mix together the sugar and cinnamon. 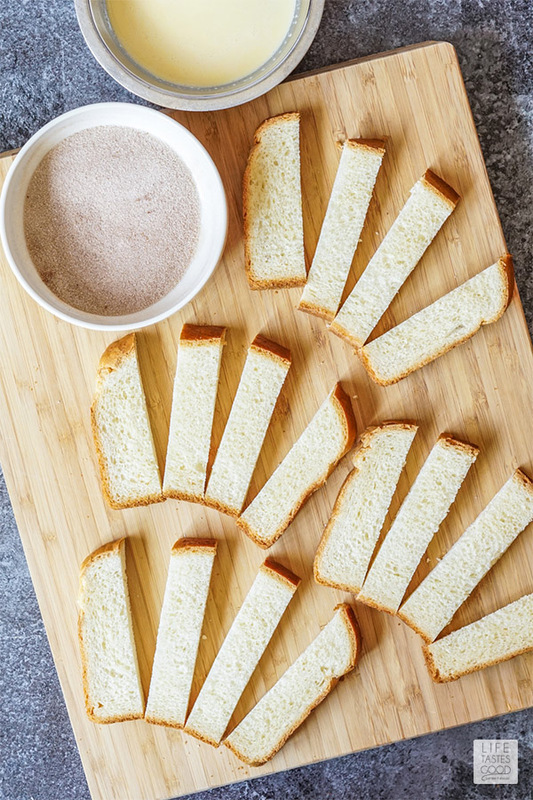 Cut each thick piece of bread into 4 long sticks. Briefly dip each stick into the egg mixture, allowing the excess to drip off, then coat in the cinnamon sugar. Place on the prepared baking sheet and repeat with remaining sticks, arranging them 1 inch apart. Bake in preheated oven until beginning to turn golden, about 12 minutes, and flip and cook on the other side for an additional 12 minutes. Sprinkle with powdered sugar and serve with maple syrup or desired dipping sauces. Cut the butter into pieces and stir into the chocolate along with the caramel sauce and pinch of salt. Serve immediately with the French Toast Sticks or refrigerate until needed and heat gently before serving.